Feed Maxi is a perfect speech app to have on hand for both Parents and Teachers. 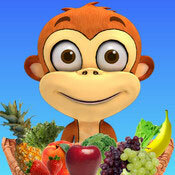 Maxi is an adorable monkey, sure to entice any kid. The ease of navigation, combined with monkey antics keeps them coming back for more. The app is fantastic for enhancing speech skills, word recognition, decision making skills, and more! Maxi wants a balanced diet. There are 80 food items including: fruits, vegetables, proteins, dairy, grains and snacks, that can be turned on or off. Maxi asks for the food he wants, tells kids what he thinks, and demonstrates decision making! He also loves to dance 🙂 While feeding Maxi, kids will be exposed to an array of food words. Seeing and hearing them pronounced is reinforcement for reading skills and a building block for early reading readiness. Maxi also uses sign language (ASL animations), which makes this a great introduction to signing. Used individually, or as a group in classes, the app is sure to be a very pleasant lesson time! The skills gained from this playful format make it the perfect fit for kids with special needs. Preschoolers and Toddlers at all skill levels can benefit from the exposure to the vocabulary words as well as the interaction with Maxi. The levels of difficulty can be adjusted for up to five kids at a time. Adults can modify the names, difficulty levels, check the statistics, and email if desired. This app is presented to us by Speak Eazy Apps. Moderate Level – Pick From 2 Choices! Easy Level – Pick From 1 Choice! The inspiration for Feed Maxi came from a breakthrough therapy session I had with a little boy many years ago who suffered from a profound speech and language impairment. He was nonverbal, couldn’t follow directions or engage in joint routines, and was unable to identify objects in his environment until I put pictures of food items in front of him and put a monkey puppet on my hand. I spoke in a silly voice playing the monkey and the boy started to smile and interact for the first time! The ‘monkey’ asked the boy for pizza and the boy picked up the pizza picture and put it in the monkey’s mouth! This was the first step towards many more successes for this child, as well as the inspiration for Feed Maxi. What is your favorite aspect for your app? There are many aspects of Feed Maxi which I love. Maxi the Monkey’s high quality 3D animations and sign language reinforcement are extremely fun as well as immensely motivating for children, keeping them engaged, laughing and learning throughout the game. Children (as well as adults who have played) love to “Give Five” to Maxi and anticipate the interaction every game. I love the fact that Feed Maxi targets receptive, expressive and pragmatic language skills, all in one app, and that it incorporates pictures of real food items for easy identification and to model new food choices for picky eaters. My favorite aspect, however, is the end result of Feed Maxi. There is no greater joy than hearing a child produce new words and expand their communication skills due to playing with Feed Maxi. A Spanish version of Feed Maxi is now in the works and new apps in the Maxi series are under development. Speak Eazy Apps is a proud member of MOMs with apps. Our apps are designed especially for children and we take your children’s privacy and online safety very seriously. In Feed Maxi, there are no annoying pop ups, ads, or in-app purchases during game play. The only links to outside sources, such as our website and the App Store, are hidden behind a parent gate that only adults can enter. Speak Eazy Apps encourages feedback from our users as we strive to make the best language game apps for children. If you enjoy Feed Maxi, please leave a review on the App Store as well as on our Facebook page. If you would like to hear about updates, promotions and new releases please follow us on Facebook and Twitter and sign up for our newsletter through our website. 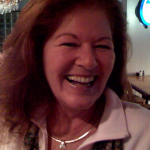 Speak Eazy Apps was founded by Pamela Mandell, M.S. CCC-SLP, a certified speech-language pathologist with over 14 years of experience specializing in the field of early intervention. 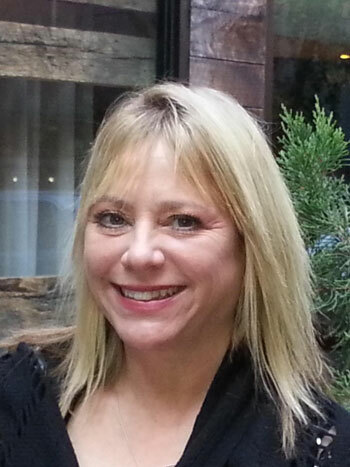 She currently provides speech and language services for toddlers at a non-profit school in Manhattan as well as home care services for babies, toddlers and preschoolers with special needs. Most importantly, however, Pamela is the proud mother of two wonderful boys! The goal of Speak Eazy Apps is to create technology that facilitates speech and language learning during parent/child and educator/child interactions. The apps we create are meant to be shared and jointly attended to by both the adult and the child to maximize the learning environment. Children learn communication skills best during joint routines in which the adult and the child engage in meaningful activities together.